Last week, the only real market mover was speculation about the EU summit. Ok, US housing and some other data points might have provided a brief excuse for some movement, but that’s all. In last week’s post, COMING WEEK MARKET MOVERS: 6 EVENTS TO WATCH, 8 EU SUMMIT GOALS, I noted 8 things that the EU summit must at least make serious progress towards accomplishing in order to calm markets enough to produce anything more than a short term rally. The goal was to help you quickly cut through the usual media pumped euphoria like we saw after the announcement of the Spain bank deal, and not get fooled into believing there was any material change in the EU’s dire situation. Clearly we were right to be concerned. As we see from the chart below of the bellwether S&P 500 index, the markets clearly were impressed with the EU Summit’s results, as Friday’s move rendered the choppy range bound from Monday-Thursday irrelevant, reversed the recent downtrend, restored the uptrend that began a month ago, as well as upward momentum by putting the index back in its upper Bollinger band buy zone (see 4 RULES FOR USING THE MOST USEFUL TECHNICAL INDICATOR, DOUBLE BOLLINGER BANDS). Let’s start with that list of criteria for judging summit results from last week, and then look deeper at what really did and didn’t happen. 1. No concrete steps towards centralized control of budgets and spending needed to convince funding countries they’ll be repaid and that the crisis will be repeated, nor any indication why whatever enforcement mechanisms will succeed where prior EU treaties failed. NO. 2. No commitments to provide adequate funding or how and where that funding will come, or mention of whether Germany and other more disciplined nations will accept more money printing that will be needed for bailouts that don’t involve piling on more debt, and for providing a credible guarantee of bank deposits that’s needed to prevent bank runs. NO. 3. Convincing evidence that EU members are ready to cede the sovereignty implied by centralized banking and budgeting. NO. 4. Clarification on how all member states will be able to agree on the myriad of details in a timely manner and keep themselves solvent in the interim period. NO. 5. Rescue plans do NOT involve adding yet more debt to nations and banks that already cannot repay what they owe. NO. See the above article for details on the full 8. 9. The statement issue was vague and lacking in any and all important details. What we got is just another set of plans to make plans. Great. 10. It was another underfunded piecemeal solution to stave off a near term crisis in Spain, perhaps Italy, at a time when markets won’t calm until they know there won’t be yet another nation next week under speculative attack and in need of yet another bailout. Currently the EU bailout funds may not even be enough to keep Spain afloat, leaving Italy and others who may need help vulnerable to speculative attack. 11. Burying Debtors Deeper In Debt: As we detail below, all the purported accomplishments of the EU Summit involve use of more debt for banks that are already struggling with solvency. It’s like some bizarre remake of the sci- fi classic film. The events may be occurring in Europe, and the leader may appear to be human in form. However their behavior indicates they’ve been possessed, by beings from Planet Ponzi. So for the sake of balanced analysis let’s try, really, to look at the positives and examine the purported achievements of the EU Summit. There was much ado about how allowing EU funds (EFSF and ESM) to lend (yes, add more debt) to banks was a good idea because it would help prevent sick banks from dragging down credit ratings of entire sovereign nations, as was arguably the case with Ireland and Spain. That’s at best only partially true. In the end it’s those same EU nations that fund the bailout funds, so the more these funds are used, the more all nations will be called upon to pay in. Perhaps the GIIPS pay less, or at times nothing, but that means the funding nations get stuck writing bigger checks, which makes their future participation less likely. As noted before, the EFSF and ESM may not have enough money to even convince markets they can keep Spain from default. That means it’s just a matter of time before Italy, Greece, Cyprus, or some other nation become the contagion threat of the day. Ultimately the states must still pay for bank bailouts via their contributions to the EFSF and, ESM, both of which are likely to need more contributions unless the ECB starts printing a lot of Euros. At this time Germany and others oppose that. 13. New EU Rescue Loans No Longer Have Seniority Over Other Creditors: Only works if GIIPS don’t default. This does help reduce the risk premium on future GIIPS bonds because it reduces the risk of private creditors not getting paid, and so should help keep bond yields, and so borrowing costs, lower. That could prove true as long as the GIIPS don’t need to default. If they do, then yields go right back up. Unless this fund has enough firepower to buy the all the bonds needed, then this fund quickly becomes powerless to even buy those bonds. If this fund is adequately supplied (not clear at this time) then it could be helpful for short term stabilization of rates, and works fine as long as the bonds don’t default or are not ever perceived as at risk of default. If these conditions don’t hold (likely) then the ESM winds up holding bad assets, which in turn may undermine its ability to function or at worst case turn it into another domino that collapses if to many of the bonds it holds defaults. Did you notice how items 12-14 all involve piling more debt onto those who can’t handle current debt loads? The Spain bank bailout is still unsettled and will not be funded until there’s some kind of Memorandum of Understanding (aka Conditions meant to ensure that the banks or Spain itself might actually pay the money back). Even if the ESM is adequately funded, it can’t function until a bank supervisor is in place, which is not likely until the end of 2012 at best. With €100 bln set aside for Spain, the ESM only has €400 bln left. Assuming that Spain doesn’t need further funding (bad assumption based on the past year), that’s not enough if Italy gets in trouble, not might it be enough to cover other conceivable situations. 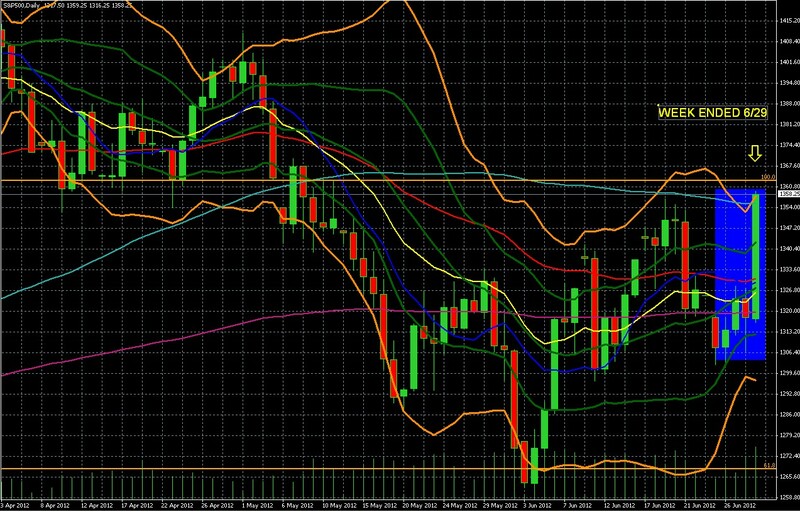 Until markets believe the funding is fully there, no question, then the crisis remains on standby, ready to reignite. We saw multiple reports that Germany had finally yielded and accepted all kinds of material concessions. While we agree that the tone may have softened, thus far Merkel has ceded virtually nothing. She has ceded certain access to EU bailout funds that are not adequately funded, or in the case of the ESM, even likely to be functional in 2012 until there’s a banking supervisor. In essence she’s offered the possibility of writing a check that may well bounce due to insufficient funds. Yes, the GIIPS can claim symbolic victories, but Germany and the other funding nations have yet to show that they’re ready, or even really able, to offer more cash and risk their own banks, economies and credit ratings. Even if they are, will their voters? As noted last week, even if the will to integrate into the US of Europe were fully there, and we doubt that, markets are unlikely to leave the EU alone for long before another default threatens to be the catalyst for the feared contagion that brings down Spain or Italy. The EU needs years; it may have only a few months, possibly less. Admittedly, it was unrealistic to expect the summit accomplish everything. However the real seriousness to sacrifice sovereignty and cash just wasn’t present. We still have no evidence they’re really willing to take the pain needed to preserve the EU. In the absence of that determined will to make the sacrifices, the line of least resistance remains the most likely path. That path leads to a breakup of unknown form and consequences. Even if that breakup is not so much less expensive (though we suspect it is), it has the huge advantages of closure and ability to put a final price tag on it instead of funding nations needing to write and open check and accept unknown levels of EUR devaluation. In sum, I don’t see evidence of the will to cede sovereignty or fund the GIIPS. Even if there were, I don’t see how the EU will be able to avoid a default and contagion threat for the years organizing all of this would take. While we can’t rule out a brief faith based rally, we’d just wait it out and wait to jump back in to short risk assets and currency pairs once the rally loses momentum. Note that playing this rally would be strictly a short term trader’s game. As disappointing as the EU Summit was, it did show that they haven’t given up. That means they’ll keep reaching for whatever short term tools they have until the longer term solutions are in place or the EU collapses under the weight of its flaws. That means that barring effective German opposition, the most likely tool will be debt monetization, aka money printing. While the global recession may succeed in keeping inflation at bay for now, history suggests that those with their assets denominated in Euros are going to suffer a serious loss of purchasing power. Meanwhile, those based in US dollars should not take the current USD strength for granted. The USD is simply benefitting from the EUR’s weakness. As we’ve explained repeatedly in the past (and do so again in our coming book, The Sensible Guide To Forex), the EUR and USD push each other in opposite directions. How long this USD strength will last is unclear, given the fiscal cliff issues approaching at the end of this year. We expect election year pressures could well lead to yet more money printing and government spending as US politicians seek to avoid alienating voters with taxes or spending cuts, at least until the voting’s over. Regarding the UK and Japan, we see similar signs of long term currency weakness. Even for those based in other currencies, it still pays to diversify your exposure for greater safety against currency risk and better returns. Thus for those with most of their assets denominated in any single currency, not just the USD, EUR, GBP, and JPY, you need diversify into currencies with better or solid long term prospects for holding their value or appreciating. While standard spot forex methods tend to be too risky, demanding and complex for most investors, there are simpler, safer solutions. 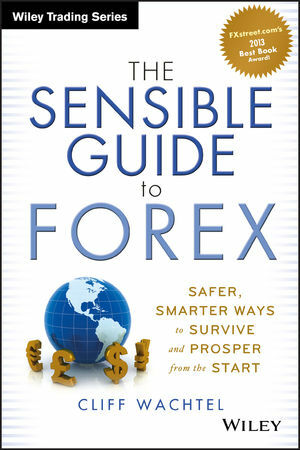 The Sensible Guide To Forex is the only place I know where these have all been gathered into one low cost source, continually supplemented by material on the companion website, thesensibleguidetoforex.com. See the About page for a full description, and Reviews page for advanced reviews. It comes out in September, but you can lock in the lowest price and reserve a copy by placing an order now via the above link. DISCLOSURE /DISCLAIMER: THE ABOVE IS FOR INFORMATIONAL PURPOSES ONLY, RESPONSIBILITY FOR ALL TRADING DECISIONS LIES SOLELY WITH THE READER. IF WE WERE SURE WHAT WOULD HAPPEN, WE WOULDN’T BE TELLING YOU FOR FREE, NOW WOULD WE?